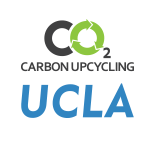 The Carbon Upcycling team brings together UCLA researchers and experienced industry professionals in the energy and environment sectors. Gaurav Sant leads the team’s efforts towards the industrial realization of the CO₂NCRETE™ solution, a process for CO₂ utilization by manufacturing a low-carbon concrete-equivalent material. Ed Mueller, J.R. DeShazo, Jim McDermott, and Stephen Raab provide their expertise in commercialization, economic analysis, strategy, and business development. 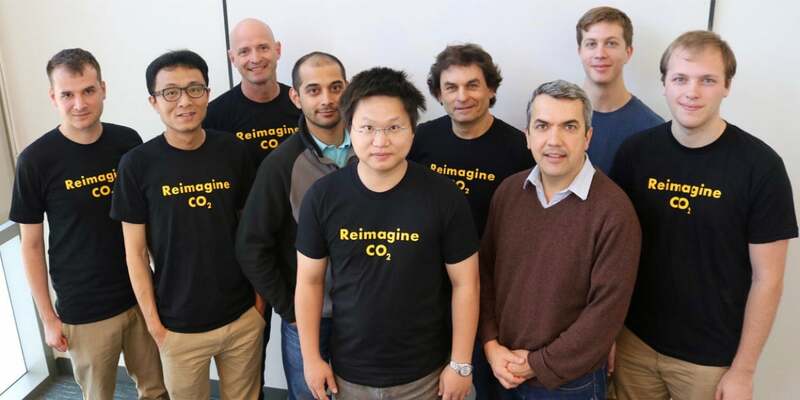 Bu Wang, Gabriel Falzone, and Iman Mehdipour lead development of the CO₂NCRETE™ technology, including aspects of CO2 processing and material/product performance. UCLA’s breakthrough technology enables the unprecedented, large-scale, beneficial use of CO₂ secured from flue-gas that is emitted by coal- and natural gas- power plants, and cement plants. This CO₂ is embedded in a building material, “CO₂NCRETE™.” Lego®-like building components formed of CO₂NCRETE™ offer higher structural efficiency and flexibility in construction and accelerate onsite assembly; thereby lowering project periods and labor costs. CO₂NCRETE™ has a CO₂ footprint that is approximately 50% lower than that of traditional concrete; an industry responsible for nearly 9% of CO₂ emissions globally. Carbon Upcycling’s CO₂NCRETE™ manufacturing process captures flue gas-borne CO₂ and utilizes it to fabricate a low-CO₂ replacement for traditional portland cement concrete. The central technology involves a novel carbonation process (patent pending) that captures CO₂ from flue gas mixtures and embeds it via mineralization into limestone; a well-known natural cementation agent. The CO₂NCRETE™ solution may be used to manufacture a wide array of components that can be readily substituted into conventional construction practice. Simultaneously, the CO₂NCRETE™ production process provides a future-proof construction material solution, owing to its adaptability to user needs. The CO₂NCRETE™ solution is designed to be scalable and easily integrated into industrial cycles that provide a ready source of CO₂, e.g., natural gas or coal-fired power plants – without any pre-treatment, or post-treatment. CO₂NCRETE™’s production is environmentally friendly, as it produces no harmful byproducts, and minimizes waste production and water usage. With a sustainable, low CO₂ footprint process that enables unprecedented design flexibility and automation, Carbon Upcycling’s CO₂NCRETE™ will transform construction, a traditionally low-tech sector, into an industry of the digital age – while providing a platform for global, gigaton-scale CO₂ utilization. Gaurav Sant is an Associate Professor and Henry Samueli Fellow in the Departments of Civil and Environmental Engineering, and Materials Science and Engineering at UCLA. Gaurav is an expert in construction materials and the coordinator of the Carbon Upcycling effort that developed CO₂NCRETE™. Gaurav is a prolific author who has published over 100 peer-reviewed scientific publications, and whose work has been supported by federal and state agencies, foundations, and Fortune500 corporations. Gaurav’s work has been recognized by awards from the National Science Foundation, American Concrete Institute, American Institute for Chemical Engineering, and International Union of Laboratories and Experts in Construction Materials, Systems and Structures (RILEM). At UCLA, Gaurav is also the Director of the Institute of Carbon Management, which is developing pioneering market-focused technologies to reduce the accumulation of carbon dioxide in the atmosphere.